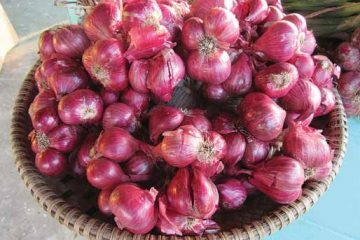 Three pure lines derived from what is often called the “Pateros duck” or mallard (native itik) have been developed by researchers of the National Swine and Poultry Research and Development Center (NSPRDC) headed by Dr. Rene C. Santiago in Lagalag, Tiaong, Quezon. These are the black, brown, and white lines which breed true to type, meaning that each line, when multiplied, comes out uniform in the color of the feathers, size, and egg productivity. On the other hand, the native itik is variable in size and productivity. The brown mallard (itik) and white mallard developed by the National Swine and Poultry Research and Development Center in Tiaong, Quezon. The white mallards have uniform sizes and produce more eggs than the old native breed. The three new lines start laying at 18 weeks or when they are 4.5 months old. They have 55 to 72 percent egg production, which means that on a particular day, out of 100 layers, 55 to 72 ducks lay eggs. There are certain periods, however, when as many as 98 percent of the ducks lay eggs. 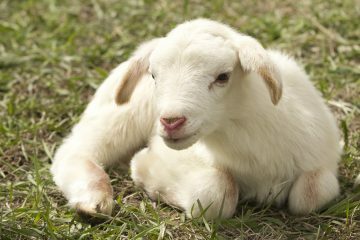 In one year, they can produce 255 eggs. On the other hand, the native itik only has a 50 percent egg production rate. The new ducks weigh an average of 1.2 to 1.35 kilos each. This is an ideal weight for egg layers. They are not big, which means they don’t consume as much feed as the big fowls. 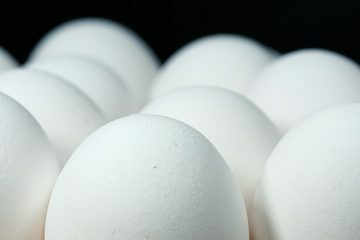 The eggs of the new ducks are ideal for making balut and salted eggs, each weighing 68 to 70 grams. The new lines could pave the way to eventually producing certified Philippine breeds of ducks and also other native animals, according to Dr. Santiago. 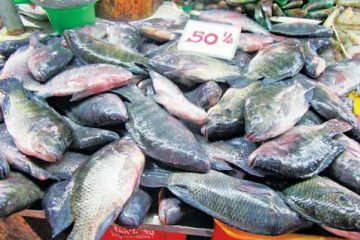 The certification could be achieved after further research on the fowl’s performance under different situations in different localities. 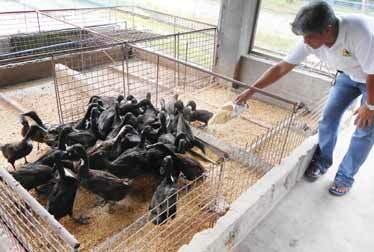 Dr. Santiago feeding the pure black mallard duck (itik) developed by the NSPDC in Tiaong, Quezon. 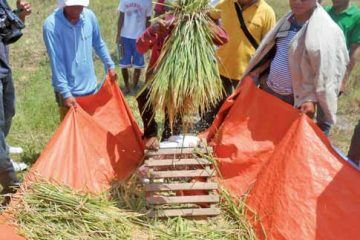 By the way, the new duck lines were the result of a four-year research study funded by the Philippine Council for Agriculture, Aquatic and Natural Resources Research and Development (PCAARRD), which provided a PhP 10 million grant. 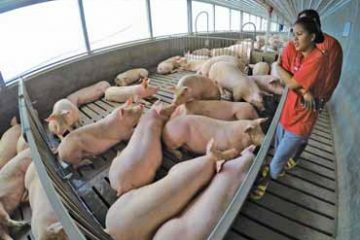 A counterpart fund worth PhP 5 million was granted by the Bureau of Animal Industry (BAI) of the Department of Agriculture. The research started in 2012 and is slated to end this month. As early as 2008, however, the NSPRDC started the selection of native mallard from different provinces from which continuous selection was undertaken, resulting in the development of the three pure lines of black, brown, and white itik. Today, breeding stocks have been provided to five growers in Nueva Ecija, Batangas, and Laguna; they are multiplying the new duck lines for eventual commercial sale to the public. The initiative, according to Dr. Santiago, was prompted by the fact that in the past several years, duck egg production rates were dropping and duck farmers were losing money. Victoria, Laguna, used to be the center of duck production for many years. 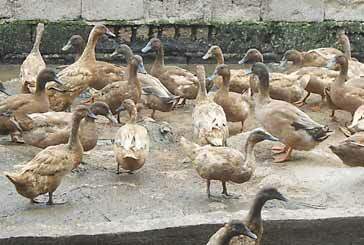 In all those years, the raisers fed their ducks with shells gathered from Laguna Lake. When the Laguna Lake Development Authority (LLDA) prohibited the gathering of shells for feeding ducks to prevent overexploitation, the duck raisers shifted to commercial feeds, which are much more expensive than shells. Because the native itik only had a 50 percent egg production rate and the commercial feeds were expensive, many of the duck raisers lost money and had to give up their projects. Dr. Rene Santiago harvests azolla for feeding to ducks and chickens to save on feed costs. That started the search for better-performing ducks and less expensive feeds. While the current raisers under confinement use commercial feeds, they can reduce feed costs by giving azolla as a supplementary feed. The NSPRDC has a showcase wherethey produce azolla as supplementary feed for ducks and other animals. With efficient egg production, duck raising could be highly profitable. 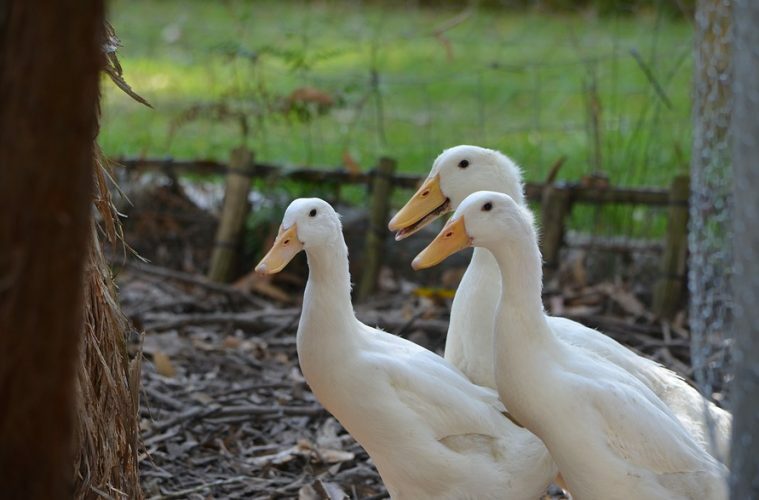 Ducks require a lower investment compared to commercial poultry. Duck eggs sell for P6.80 to P7 apiece today and balut sells at P15 to P16 each, while salted duck eggs sell for as much as P13 apiece. 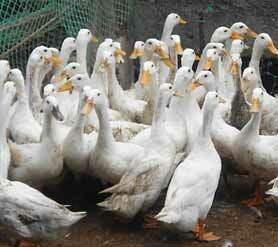 Most of the ducks today are raised in Isabela, Nueva Ecija, and Pampanga, where the fowls are grazed in rice fields. There are, however, two big raisers in Candelaria, Quezon and a few others in Victoria and Pansol, Calamba City. I love the article, but, are you talking about the ItikPINAS developed by DOST-PCAARRD and NSPRDC-BAI? If yes, the purelines are the IP – Itim (Black) and the IP – Khaki (not brown) and the commercial line/terminal line the IP – Kayumanggi. Please contact the subject of the article directly for more information. Check out agriculture.com.ph for more Pinoy agri-related stories.